Toot Toot! All aboard! Do your kids love trains? Well then, you need to book yourselves a seat on the Mornington Railway. 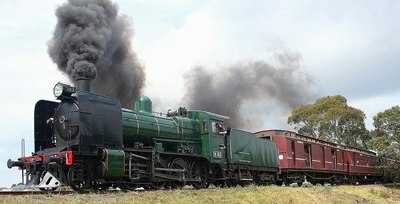 Steam train rides on the Mornington Peninsula run weekly during the summer months. The heritage train journey runs from Mooruduc to Mornington, about 45 mins duration. Keep an eye on the Mornington Railway Facebook page for special event promotions (i.e. Father's Day, Christmas themed trips). Timetables change for daylight savings. 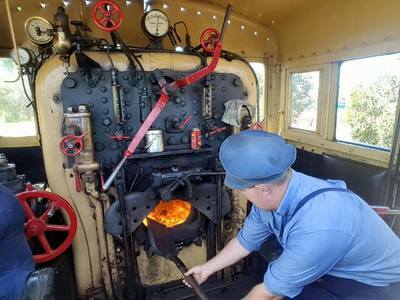 Step back in time and enjoy a steam train ride with your family, on board Mornington Peninsula's heritage railway. Online tickets can be purchased until 8am on the intended date of travel for our regular excersion trains.